The dear old LA PALMA. She was a real survivor. In the 70s, as the DELPHI, she was already for scrap, but instead she was sold on further trading and added another 25 years to her career! 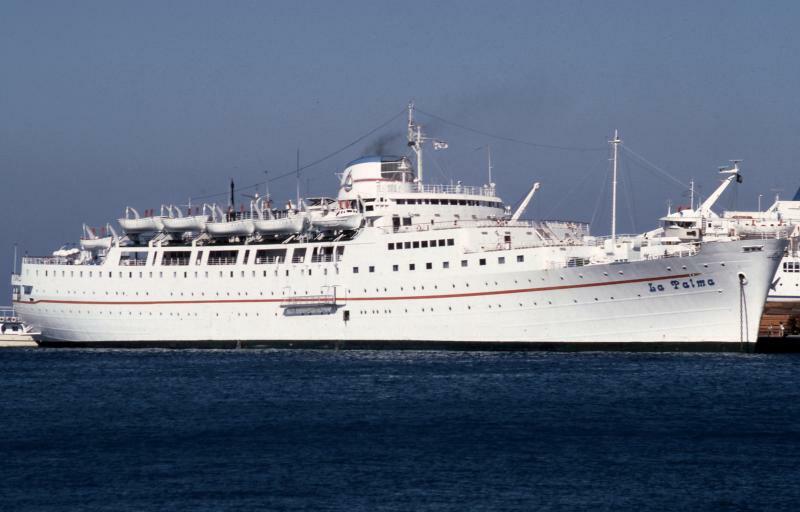 Back when I first started collecting cruise brochures, in 1987, she featured in all tour operator guides as the "Cheap & cheerful" ship in the Med for Dutch passengers. Times have changed! This photo has been shown 2,236 times since it was added to the site.